Requesting a space as unique and progressive as its Open Industrial Office concept, prominent general contractor Allen Construction & Consulting (allenconstructionandconsulting.com) contracted VS+CO to help create a co-working space for COMRADITY (comradity.net). 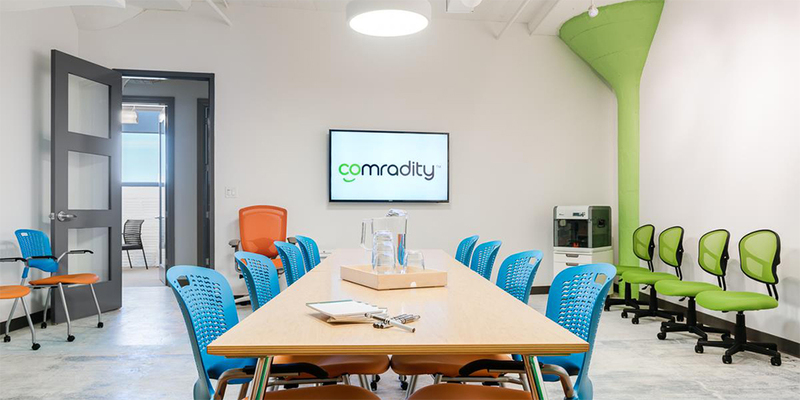 Designed to promote collaboration in creative disciplines like digital marketing, advertising, blogging and graphics, COMRADITY embraces a physical space and virtual network with state-of-the-art finishes, tools and technologies. The result: a new way of working to help drive business innovation and growth in today’s highly competitive global marketplace.